Putting on muscle isn't just about piling on more and more weight. Use these tips to work out smarter—not harder—for big results you can really see. Stay committed to the gym and constantly fine-tune your workouts, and you're sure to be significantly stronger in a few weeks. But damn it, sometimes that's just not soon enough — like when you're meeting your buddies at the gym in an hour, and you want to make sure you smoke them on the bench press. Behold, our best tips to get immediately stronger. 1. "Work up" to your heaviest weight instead of using a pyramid. Do several warm-up sets with low reps that prepare you to lift your heaviest on your last few sets. That way, you'll have energy for those sets — the most crucial ones for strength gains. Say you're planning to squat with 300 pounds for five reps. You could do 135 pounds for six reps, 185 for five, 225 for three, 275 for two, and then 300 for five. By the time you get to the 300 set, you'll be thoroughly warmed up but not fatigued. 2. Visualize every rep before you do the set. Imagine how it will feel, where your eyes will be focused, and how you'll breathe. Doing so will make you more "familiar" with how the set will be done, and it will seem easier. 3. Rest three to five minutes between sets. To lift your hardest, your body needs to regenerate as much ATP — the fuel source for muscle contractions — as possible. 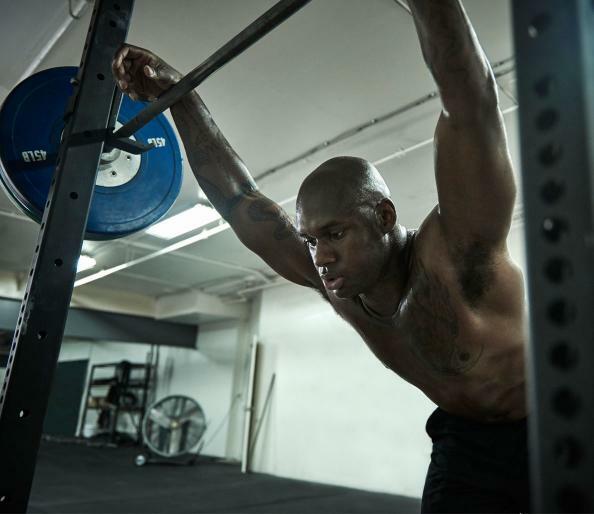 Take the time to feel fully recovered before you attempt any personal record on a lift. 4. Work on your weak points. If you can't lock out your elbows on the bench press, try setting the safety rails in a power rack at about your sticking point on the lift. Put roughly 100 pounds more than your one-rep maximum weight on the bar and then try to press it — naturally, you won't be able to move the bar but try hard anyway for six to 10 seconds. Do four to six reps, resting a few seconds in between, and then lighten the load to the weight you usually have trouble locking out. Your central nervous system should now be sufficiently fired up for you to lift it. 5. Train with someone stronger than you. Even if you have to invite the biggest animal in the gym to spot you, having someone around who inspires (or intimidates) you will always make you up your intensity.